Thua Thien-Hue (VNA) – More than 1,500 runners, including 120 foreigners, participated in the Hue Half Marathon 2018 in the central province of Thua Thien-Hue on September 2. Winners of the 5km, 10km and 21.1km team races were from the ABBank, Hanoi Beast Runners, and Da Nang Runner. The organizers also awarded the first, second and third prizes to female and male individuals. All runners finishing their races received an honorable medal. 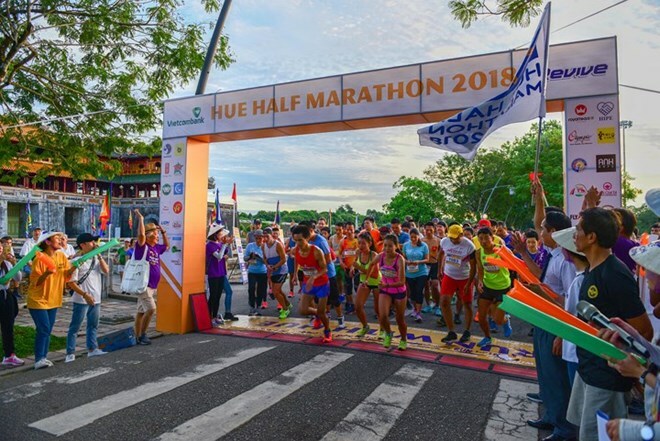 The Hue Half Marathon 2018 was the first professional race applying international standards in Hue city. It aimed to promote healthy life style and raise funds for local orphans.